Patients who live in the Santa Monica, California are encouraged to visit Kathy Zahedi, DDS & Associates if they’re having difficulties with their wisdom teeth. The practice performs wisdom teeth extractions, providing patients with immediate relief from the pain and discomfort of an impacted or broken tooth. 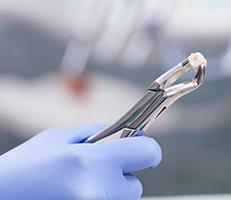 When do wisdom teeth typically appear? 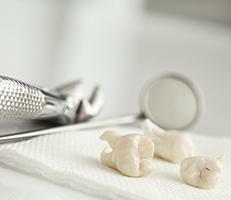 In general, wisdom teeth begin to erupt between the ages of 17-21. However, they do not always erupt, but can instead be trapped under the gum line. That's because most people do not have enough room in their mouth to accommodate this third set of molars, which are the largest of all teeth. As a result, they either cause your other teeth to shift out of alignment or are unable to break through and become impacted. In such instances, the dentist will recommend extracting your wisdom teeth. Wisdom teeth extraction is recommended when you don't have enough room in your mouth. Also, they may need to be removed if they are turned at an angle, in which case they’re likely to become wedged against the back side of the other molars. In either of these situations, the dentist will recommend the wisdom teeth be removed to prevent the other teeth from being damaged.